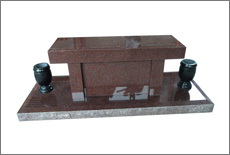 We sets new heights through superior quality, great customer service and satisfaction, unbeatable low prices, and the on-schedule delivery of our products. 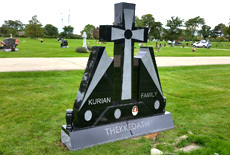 Mukkut Monument Inc is an outcome of a personal experience and a tribute to our young daughter who passed away. 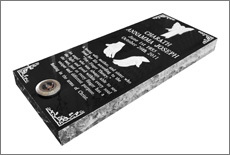 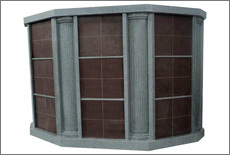 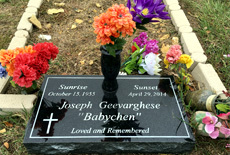 we custom design and manufacture Granite Monuments, Memorials, Ledgers, Markers, Benches, and Vases etc. 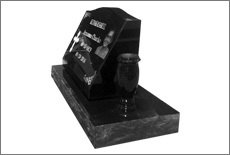 Mukkut Monument Inc installs memorials throughout the United States, Our Objective is superior quality, great customer service, unbeatable low prices, and the on-schedule delivery. 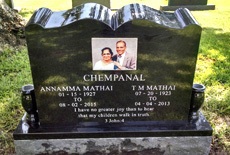 parents,T.M.Mathai & Annamma Mathai, CHEMPANAL. 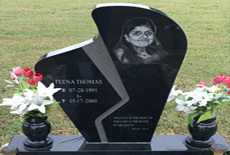 My sister and I are very happy with the color photo, script, and the finish. 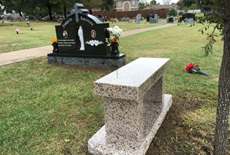 and ledger installed in Forest Park Westheimer Cemetery. 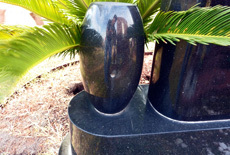 ©2016 Mukkut Monuments Inc. All Rights Reserved.